View the Leader Kit here which has the elements required to facilitate the course. Click here for a full color promotional flyer to adapt for your own use, for bulletin or newsletter ad or to post around the area. The portrait of Jesus we find in Mark is one of a powerful man, confident of his choices, but thoroughly trusting in God even as he faces persecution and ultimately death. 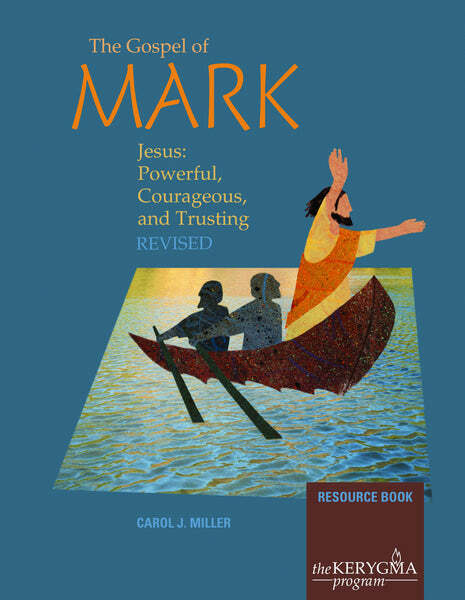 Those who struggle in their discipleship are comforted to read in Mark's gospel how even Jesus' followers so often fail to understand the depth and breadth of Jesus' power and authority. Mark's words are an encouragement to uncertain disciples of all the ages to see clearly the path Jesus invites us to follow.